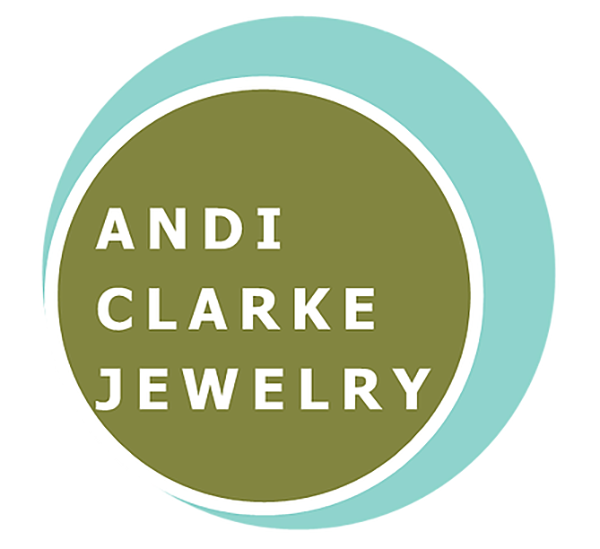 Andi uses nature and the forces of nature to inspire her jewelry designs. Waves, rocks and sand form and perfect the sea glass and pebbles that she uses in her jewelry. She uses sea glass that she finds on many different beaches and almost all the pebbles she uses are from beaches in the Puget Sound. She upcycles chipped and damaged china (often with floral patterns) into jewelry too. 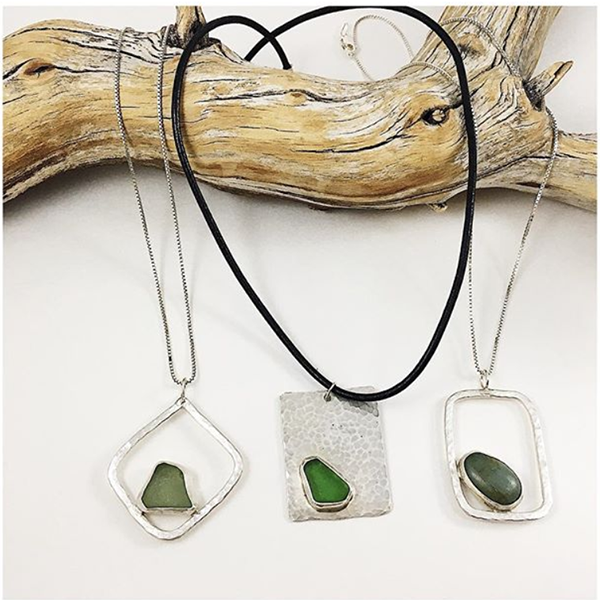 Andi also works with silver precious metal clay and uses nature imprints or creates three dimensional art jewelry with leaves and real buds which are found in local forests and gardens in the PNW.